Thank you for attending 7th APTWG! Young Researcher Forum program is updated. APTWG2017 conference program is updated. Book of abstracts is updated. Information for all participants is updated. Information for Poster Presenters is updated. Deadline for Abstract is extended to May 10. APTWG2017 time table is updated. 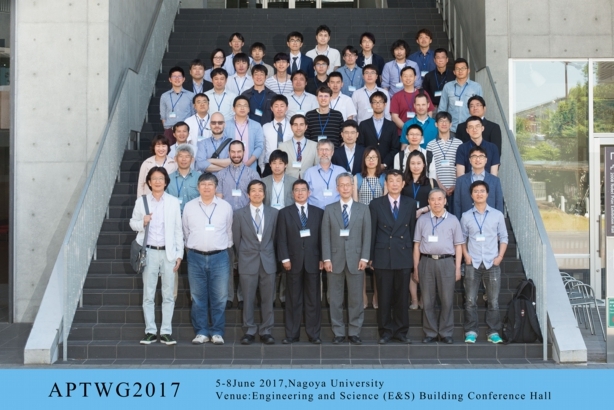 The website of APTWG2017 opened. *The conference is held under the auspices of School of Science, Nagoya University. since 2017-03-02 / Copyright 2017 Committees of 7th APTWG. All Rights Reserved.